NeighborWorks Umpqua’s newest multifamily rental housing development, Deer Creek Village, has been selected for funding by Oregon Housing and Community Services! Deer Creek Village will bring new rental housing options to Roseburg, helping to address the housing crisis. Deer Creek Village will provide housing for veterans, those who experience a disability, and those with low incomes that cannot afford housing elsewhere. The 68 unit project will be developed at a site on Douglas Avenue east of the Eastwood Park. 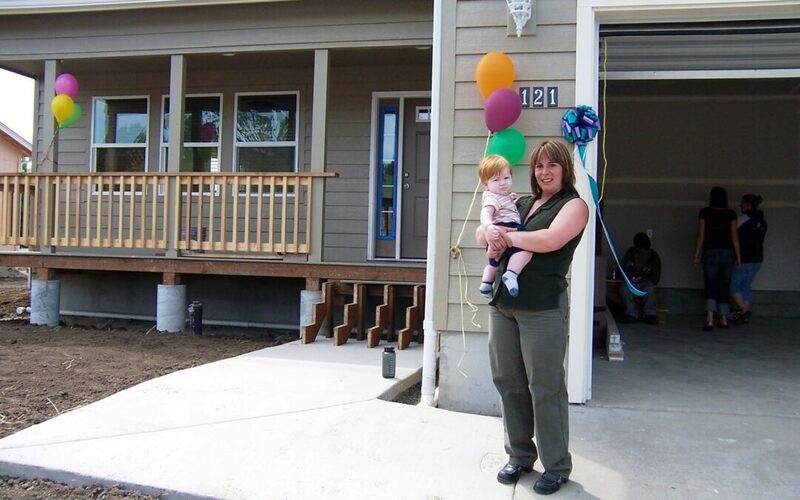 The site was generously donated to NeighborWorks Umpqua by Rose and Robert Rothstein in 2015. Deer Creek Village will be the first significant multifamily project to be built in Roseburg since NeighborWorks Umpqua’s previous veteran housing project, Eagle Landing, in 2013. Oregon Housing and Community Services awarded the project a package of funding via a competitive statewide application process. The funding includes grants and tax credits that will be used to finance the construction of the project. Construction will begin in 2019. Deer Creek Village is one of 13 projects selected for funding. Deer Creek Village will create housing that is safe, healthy, and affordable for residents of Roseburg and Douglas County that have trouble securing and retaining housing in the conventional market, due to income and/or work history, disability, age, veteran status, or experiences with housing instability, homelessness, or incarceration. The project will have a preference for veterans, especially low-income veterans with special needs, but will not serve veterans exclusively. With its mix of studio, one-bedroom, and two-bedroom units, Deer Creek Village will cater to individuals and small families making less than 60% of the Area Median Income. As nearly 30% of Roseburg residents are severely rent burdened, affordable housing is acutely needed. Deer Creek Village is informed by the principles of inclusionary housing, seeking to provide affordable housing to a wide range of people of diverse ages, backgrounds, and abilities. Construction on Deer Creek will begin in 2019, with completion anticipated in 2020. NeighborWorks Umpqua is excited to bring a new multifamily development to the Douglas County area. It is still extremely early in the paperwork process, and while the organization appreciates the excitement from our community, we are unable to take applications or solicit for applications while being so far out from the beginnning of construction, tentatively set for mid-to-late 2019. Once we are close to finishing construction, we will advertise and ensure our community knows we are ready. Find out why Leesa Cobb thinks you should join us! Calling all passionate community members in Douglas, Jackson, Josephine, Curry, and Coos: NeighborWorks Umpqua is looking for you! The rural nonprofit is happy to announce open enrollment for its Board of Directors. With over 25 years of service in Southern Oregon, we want you to help us take the organization to the next level. The perfect NeighborWorks Umpqua (NWU) Board candidate will be equity and diversity-focused, and excited about serving alongside an extremely varied group of individuals from all walks of life. From skilled lawyers to passionate community members, our board members come from all sorts of different professions, backgrounds, and neighborhoods, but all take great pride and fulfillment in serving. Read what Board member, Leesa Cobb, has to say about the history of the organization and what serving on the NWU Board of Directors means in her own words. “NWU is an organization working to make communities better, stronger, durable, and good places to live, work, and raise your family. The staff and board select projects that will make a difference and lift people up. You come into a board meeting excited about the projects in the works and leave the board meeting excited about the next projects coming up. It’s a ‘can do’ organization whose projects will often intersect with your areas of passion. Take my passion for example. I believe there is a strong intersection between affordable housing and healthcare. I am the Executive Director of the Port Orford Ocean Resource Team and the Vice-Chair of the Coast Community Health Center and my family has been a part of Oregon since 1870. I grew up in a farming family and married into a commercial fishing family and stay active in my community. NWU’s work is critical to our area. One aspect of their services is the acquisition and retention of affordable housing in our region. This is critical to keeping families housed. The “housing first” model is connected to better access to health care. Once you get someone into housing you can work on all the other issues, whether it’s mental health, whether it’s substance abuse, whether it’s not being able to hold onto a job. This simple connection is a key component of improving the quality of life for Oregonians and is just one of the many ways that NWU improves our Southern Oregon community! I believe in the work of this organization. It lifts people up in a region that is struggling, offering a hand-up. My Mother taught her children to volunteer and help our community, and one of the most meaningful ways is through a Board membership with NWU. NWU gets things done. It inspires me every day because I see the projects evoke positive changes in the community. Every year in June, NeighborWorks Umpqua participates in a national event with other NeighborWorks America organizations: NeighborWorks Week. NeighborWorks Week mobilizes tens of thousands of volunteers, businesspeople, and civic leaders across the country in a week of neighborhood change and awareness. The theme for this year’s national event is “Creating Opportunity”, a core tenet of NeighborWorks Umpqua’s (NWU) mission and strategic goals. NeighborWorks Week gives NWU the perfect opportunity to practice what we preach. Starting June 2 and ending June 9, this year’s NeighborWorks Week will be the organization’s most ambitious one yet. In years past, NWU has cleaned up neighborhoods, hosted barbecues for veterans, painted and repaired homes, but these projects have typically been rooted in one specific geographic area. This year, we will work in four of our service counties to create opportunity all within the same week in June! In Coos Bay, NWU staff will be attending an important government-sponsored resource fair, held in partnership with Oregon Housing and Community Services, the Association of Oregon Counties, and the League of Oregon Cities. The resource fair in Coos Bay will allow the local government of Coos Bay to meet and talk with nonprofits in their area to identify important housing resources and experts for the local community. In addition to the resource fair, NWU will also work alongside its first Community Leadership Institute group and the Southwestern Oregon Community College (SWOCC) garden club to beautify the grounds of SWOCC on Saturday. The Coos Bay office will hold a Volunteer Celebration for their tax preparation and filing volunteers who filed over 500 tax returns and contributed over 1500 volunteer hours. In Roseburg, NeighborWorks Umpqua will begin working on the historic property, the Willis House. The work includes painting and repairing the outdoor gazebo. All week, volunteers and staff will be on site making repairs, painting, and landscaping the important historic property. In Medford, NWU staff will be attending another resource fair, held in partnership with Oregon Housing and Community Services, Association of Oregon Counties, and the League of Oregon Cities. In addition to the work in Medford, NWU will also work on its property, Rice Park, in Ashland. The staff will clean up the local community garden for the residents and ensure they are able to use the resource for years to come. In Cottage Grove, NWU staff will be attending another fair, held in partnership with Oregon Housing and Community Services, Association of Oregon Counties, and the League of Oregon Cities. The resource fair in Cottage Grove will allow the local government of Cottage Grove to meet and talk with nonprofits in their area in order to identify important housing resources and experts for the local community. 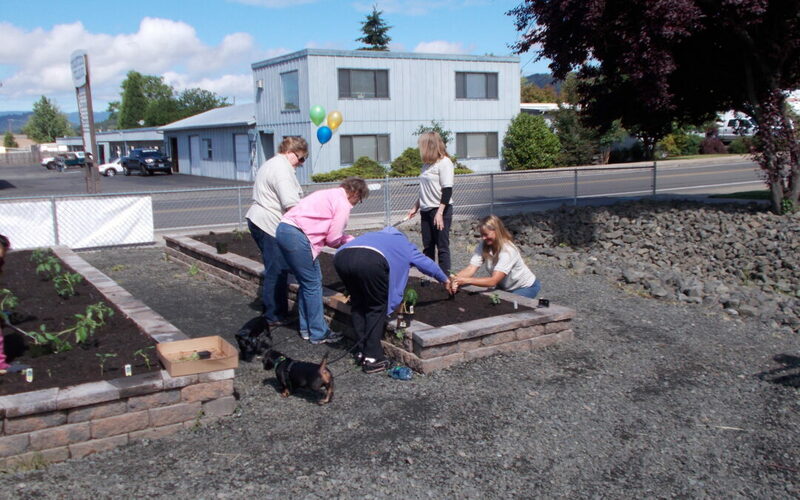 NeighborWorks Umpqua is excited to complete this impressive mix of projects during NeighborWorks Week. To follow the projects and process, make sure to visit social media for photos and pictures. The Works March/April Edition is here! NeighborWorks Umpqua Block Party is September 8th. How did our Tax Preparation and Filing Service do?